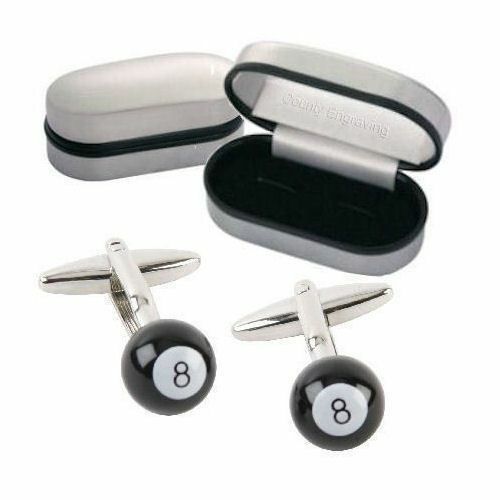 8 Ball Pool design Rhodium Cufflinks. Perfect for any player or fan of the sport, these can also be given as a gift for Birthdays, Retirements, or even to the Best Man or Ushers at your wedding. These cufflinks are displayed in a chrome plated cufflink case, which can be personalised. Sailing boat design rhodium cufflinks. Silver and Gold Bullet Design Rhodium Plated Cufflinks.